New Wine Varietals For A Harsh Place! In the 1960’s the CSIRO, Commonwealth Scientific and Industrial Research Organisation, started the development of a number of new wine varietals with the intention of creating a number of new grapes types that would be better suited to Australian climates and terroir. The CSIRO have since developed a number of varietals, five of which had at least one vintage that was available to consumers, only two of these varietals are available as regularly produced wines. 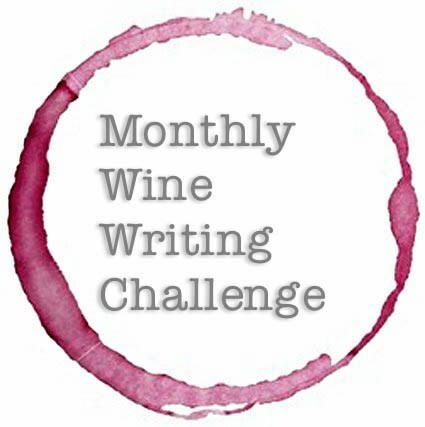 None of these newly developed varietals have become household names, but as this month’s MWWC theme is “New” thought that they would be as good a topic as any to cover. First up a short history on grape growing in Australia. Voting for this month’s challenge is open. Please checkout the other submissions and then vote for me of course! or any of the other great submissions! Australia has been producing and exporting wine for around 200 years, predominately producing wines based on traditional European grape varietals, including, but not limited to, Chardonnay, Riesling, Semillon, Sauvignon Blanc, Cabernet, Cabernet Sauvignon Pinot Noir and Syrah (Shiraz). Within each of Australia’s 6 states there are recognised wine regions and, due to their unique climates and terroirs, each region is more suitable for the growing of different grape varietals than others. As wine grapes are not native to Australia they had be introduced and around 362 varietals were planted in Australia in the early 1800’s but, due to the harsh conditions, a large number of these did not survive. The varietals that did survive were the ones that were hardy enough to handle the conditions and then over the years adapted to the Australian climate and terroir. Growing grapes has always had its challenges, more so in Australia, especially in the early years, therefore the original wine growers / makers focussed growing the varietals that could survive with minimal intervention (not saying that they were lazy, just pragmatic), which in turn meant that was there minimal experimentation with the planting of different varietals until a new batch of wine makers decided it was time to try other varietals in the second half of the 20th Century. Post World War II there was a migration boom in Australia with the majority of these migrants coming from the Mediterranean. A large number of these New Australians were from Countries that had a tradition of wine making and they noticed a lack of varietals from most of their countries and when they had the opportunity to started to introduce new existing varietals that they believed could handle the Australian climate and terroir. Whilst not all of these experiments were successful, there were a number that were and they are now thriving, especially in the King Valley in Victoria and the Adelaide Hills in South Australia. More recently the production of these newly introduced varietals has increased as wine makers now have more ready access to opportunities to learn and participate in wine making all over the world, which includes the sharing of knowledge, leading to an increase in the planting of these varietals as well the planting of more grapes that are new to Australia. In the King Valley there are established vineyards with Pinot Grigio / Gris, Prosecco, Sangiovese and Nebbiolo, and some newer vineyards with Arneis, plus what was originally thought to be Albarino but was in fact Savignan, Barbera, Marmemino, and Verminitino. Tannat, Tempranillo and Saperavi. 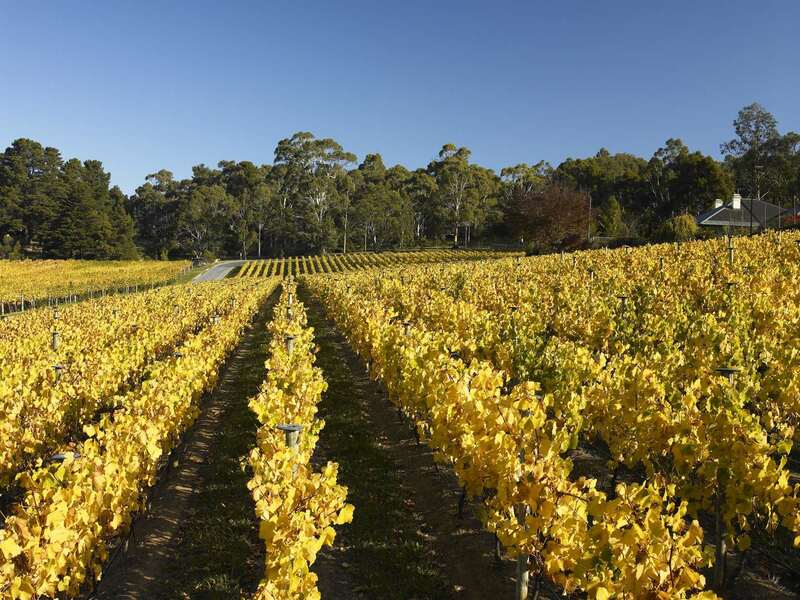 Likewise, in the Adelaide Hills you can find a number of the same varietals as those planted in the King Valley plus Fiano, Marsanne, Rousanne, Gruner Velttiner, Dolcetto, Durif, Montepulciano, Zinfandel, Nero d’Avola, to name a few. The CSIRO set out to develop new grape varietals that should thrive in the warmer Australian Wine Regions. 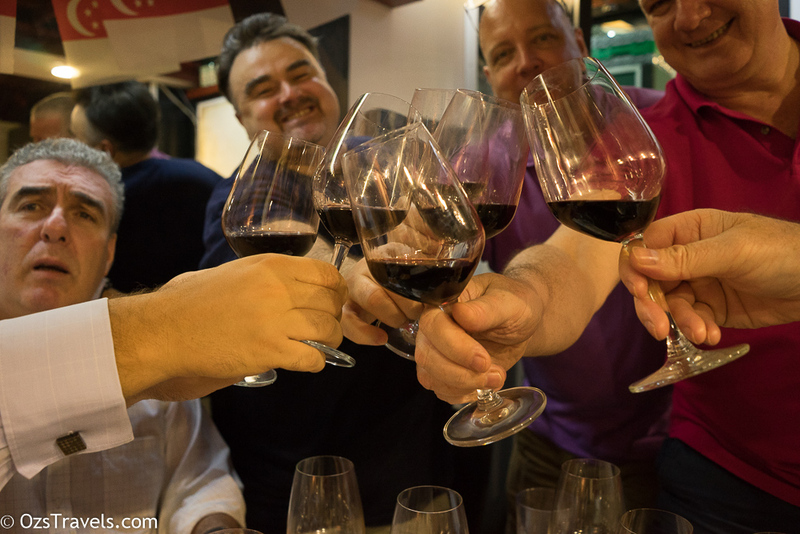 Five varietals, Cienna, Rubienne, Taminga, Tarrango and Tyrian, have been granted Plant Breeder’s Rights, each of these wines have had varying levels of success, with only three are produced regularly. Developed to be grown in the semi-arid regions of South Australia. It is hybrid of Sumoll and Cabernet Sauvignon, the CSIRO first developed this grape in 1972 and was first planted in 2000. Brown Brothers and Yalumba, who released single vintage of the wine in 2000, are the only wineries that I have been able to identify as producing a Cienna wine. Palate: Very sweet, with red berry flavours. Think Moscato. Another hybrid of Sumoll and Cabernet Sauvignon, developed for warmer climate Australian regions including the Coonawarra, Sunraysia, Avoca. Also developed in 1972 and planted for the first time for cultivation in 2000. RAMCO, Riverland Alternative Wine Group, produce a limited release Rubienne. This grape is being used as a blend more often than as a single varietal. Even though this is a big alcohol wine, the alcohol apparently does not overwhelm it. Unfortunately, there does not seem to be much around to try. A white grape developed for also planting in warmer Australian regions, to be honest there are not too many wine regions in Australia that don’t get warm. This grape is a hybrid of a varietal with the delightful name of MH 29-56 and Traminer. MH 29-56 is actually another hybrid of Spanish Planta Predralba and Sultana grapes. It is commonly used in sweet, late harvest and botrytized wines. Taminga is also being used in cooler regions to produce a drier style. There are a few wine makers producing Taminga wines. The 2010 Trentham Estate Noble Taminga is considered to be a hidden gem, at a steal of a price if you can find it, around AUD16 / bottle, will have to search the secondary market for some. Could be interesting to compare this to a DeBortoli Noble One of the same vintage. The latest release is 2013. Developed in 1965, Tarrango a hybrid of the red Touriga Nacional grape and white Sultana grape. It is a late ripening grape that produces lighter style of red wine, used in Rosé. Brown Brothers produce two Tarrango wines. The biggest market for Tarrango is apparently the UK. The latest release of the John G Brown is 2014. Tyrian is seen to be varietal that is more suitable for blending due to it being extremely tannic. Would You Be Game Enough To Try A Newly Developed Varietal? I guess that this is the real question, how much of a market is out there for newly developed grape varietals or are we all stuck in our ways that we are not willing to try new things? I hope not as, who knows in another 20 years one or more of these new varietals could be considered as a great wine in their own right or as a part of good blend. Who knows maybe one day we will be sharing a bottle of Rubienne over our mains and a bottle of Noble Taminga with dessert, let’s hope so, as it will at least provide for an interesting conversation! *If you are interested, in 2013 the ABC’s, Australian Broadcasting Commission, Landline Program produced a segment, A New Drop, that focussed on some of these new grape varietals.